The human immune system is confronted daily with a large, chemically-varied range of potentially sensitising substances. Skin sensitising substances are found, above all, in a plethora of consumer products, e. g. cosmetics, jewellery, earrings, toys, textiles, leather, other everyday commodities and, in some cases, also tattoos. These products may contain sensitisers such as fragrances, preservatives, dyes, or other additives. To provide a greater degree of consumer protection, there is a need for specific legal regulation and risk assessment, which covers each possible human exposure to a sensitising substance or mixture. This review article describes the background and pathway towards the development and implementation of an international legal framework for the classification and labelling of chemicals that contain potentially skin sensitising substances. This includes the implementation of the globally harmonized system of classification and labelling of chemicals (GHS), the classification, labelling and packaging (CLP) regulation, registration, evaluation, authorisation and restriction of chemicals (REACH), and the regulation of cosmetics, among other national laws and regulations. Assessment criteria for classification is derived from a suite of in vitro and in vivo assays, in addition to in silico approaches—validated by the organisation for economic cooperation and development (OECD)—as well as data derived from human studies. 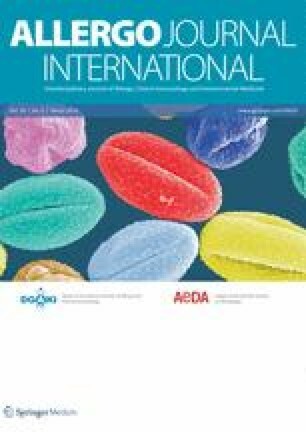 New legislation for chemical and product safety is reflected in the classification and labelling of skin sensitising substances under Category 1, Subcategory 1A or 1B, within which the threshold concentrations of several materials are regulated, e. g. p‑phenylenediamine in hair dyes, nickel in piercings, chromium VI in leather and methylisothizolinone in cosmetics. In order to minimise the risk of human contact allergy from consumer products, the scientific committee on consumer safety (SCCS) and the German federal institute for risk assessment (BfR) investigate pathways of exposure and perform risk assessments using new in vitro approaches and new (immuno-) toxicological concepts (i. e. adverse outcome pathways [AOPs], key events as well as an integrated approach to testing and assessment [IATA]). In comparison to cosmetics, substances in textiles and other consumer products are less regulated. Major efforts in research and development are necessary to decode complex substance-specific molecular mechanisms in allergic responses and to define new substance-specific thresholds. Such efforts have been continuously proposed by the BfR with regard to fragrances for over 10 years. Today, skin sensitising substances can be legally regulated and labelled and, depending on the exposure, their content in consumer products can be reduced or eliminated. Furthermore, the risk assessment of potentially sensitising substances makes consumer products safer. Further improvements in research approaches are required in the area of health and consumer protection with regard to allergy. The online version of this article ( https://doi.org/10.1007/s40629-019-0093-3) contains supplementary material, which is available to authorized users. The authors would like to thank Dr. Blair Johnston (BfR) for his critical reading of the translated manuscript. H.-J. Thierse and A. Luch declare that they have no competing interests.